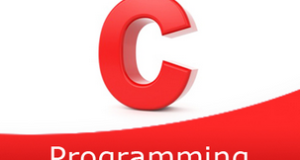 C program to compare two strings – In this specific article, we will describe the various ways to compare two different strings in C programming. In the photo uploaded above, an example is showcased. A string needs to be entered first. Then, enter the second string that you want to compare with the first one. As you can see, both the strings are absolutely equal in nature. Read the entered strings s1 and s2 using gets(String) function and initialize to s1,s2. 2) First, check the lengths of two strings. If lengths of two strings are equal then only we can compare the strings. Compare each element of string s1 with each element of string s2 as follows. If the element of string s1 is equal to the element of string s2 then increase the c value by 1. Repeat this step until the last character of s2 becomes null. b) If c value is equal to i value,i.e each character of s1 is equal to each character of s2. Then print both the strings are equal. Otherwise print both the strings are not equal. 3) If the lengths of the two strings are not equal then print both the strings are not equal. The main() function calls the stringcompare(char *s1,char *s2) function to compare the two strings. a) compare each character of the string s1 with each character of the string s2 using for loop with the structure for(i=0;s2[i];i++). b) If a character of string s1 is equal to a character of string s2 then increase the c value. Repeat till the last element of the string s1. If c is equal to i then print both the strings are equal. 3) If the lengths of two strings are not equal then print two strings are not equal. The function stringcompare() calculates the lengths of two strings as l1=strlen(s1) and l2=strlen(s2). 2) If the length of string s1 is not equal to the length of string s2 then the function stringcompare() returns 0.
a) Then compare s1[i] with s2[i],if s1[i] equal to s2[i] then increase c value,i value. b) The function calls itself as stringcompare(s1,s2).It calls itself until i<l1 becomes false. 4) If c is equal to i then this function returns 1 otherwise it returns 0. 5) If c=1 then main function prints two strings are equal,if c=0 it prints two strings are not equal. The function strcmp(String1, String2) is the string library function to compare two strings. If both the strings are equal then it returns 1 otherwise it returns 0. 2) The function strcmp(String1, String2) is available in the string.h header file.